There are many reasons why most firearm experts prefer and recommend strong side carry, but there are a few issues shooters should consider. Firearm experts have long preferred strong side carry. The main reasons for this are speed and accessibility. 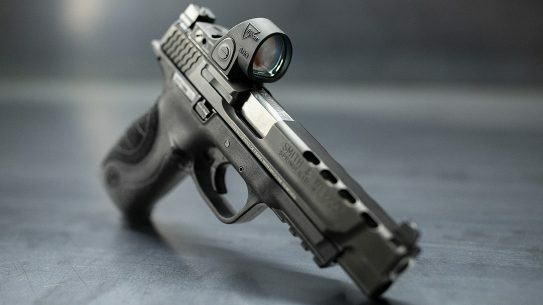 Having the gun sitting right by the strong hand keeps it ready for quick use if needed. Just look at police officers for proof. 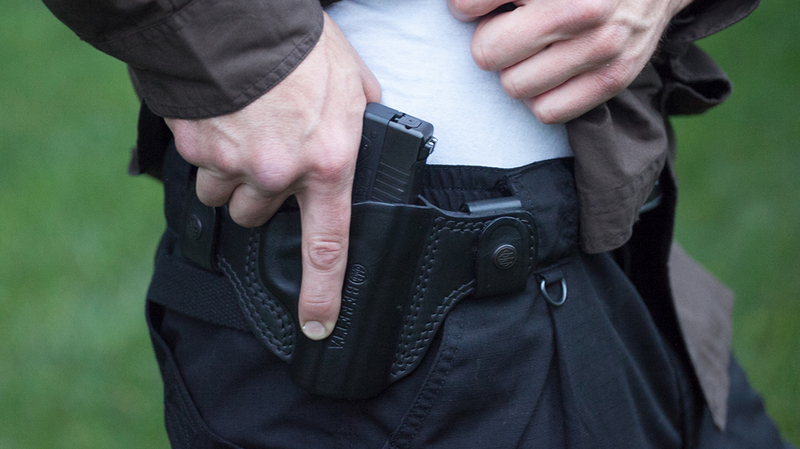 Almost all, probably all, uniformed police officers carry in strong side holsters. They do this because the higher up require it. And the department leaders require it because they’ve worked with experts who studied the issue. Whether drawing from a duty holster or from concealment, strong side carry provides the fastest and most natural draw in most situations. The main benefit of strong side is speed. 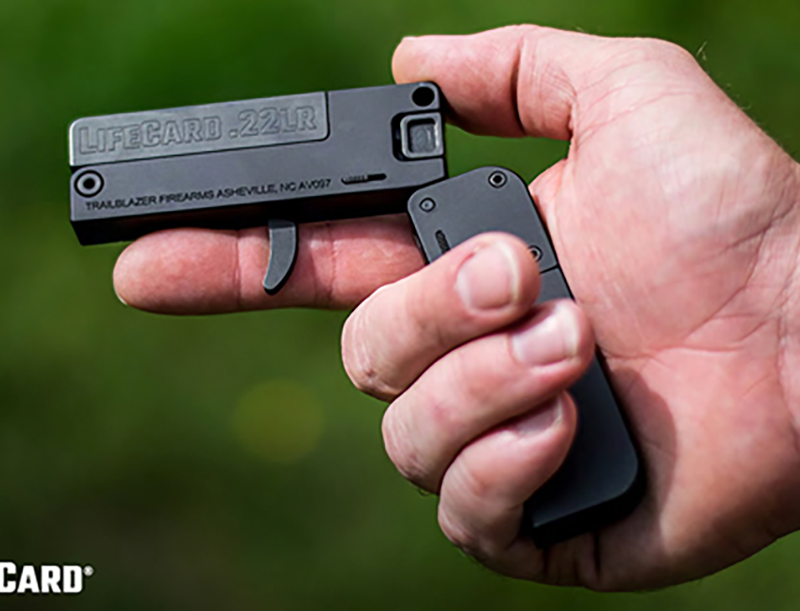 A strong side holster with a slight forward cant provides the fastest draw on average. 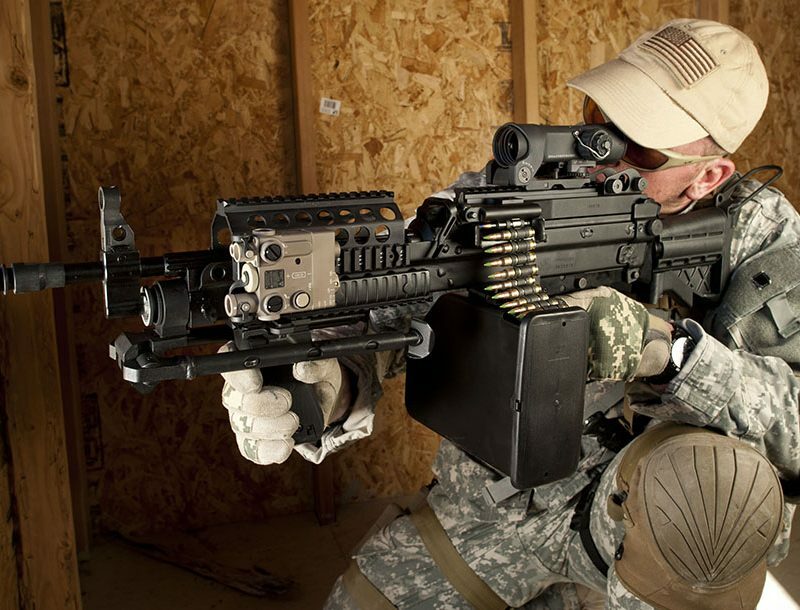 Sure, some folks are faster with other methods, but most shooters will be fastest with the gun on their strong side. 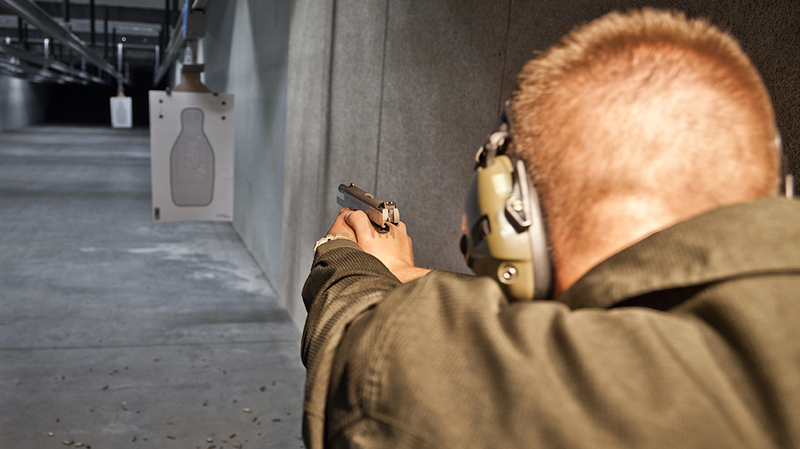 Shooters don’t have to reach across their bodies to reach the gun and swing it toward the target, which reduces the chances of sweeping both yourself and others. Strong side also allows the use of the free hand to ward off attacks, along with the ability to fire from the hip. One simply doesn’t perform the final motion of the standard draw — the extend. Instead, the shooter, in extreme situations, rocks the barrel toward the target and pulls the trigger. If you’re fighting off an attacker with the weak hand, you can just fire at close range, ending the situation. Another benefit is that strong side provide more options for practice. Most ranges do not allow drawing from any type of carry position from which the gun sweeps the line. This means drawing from both crossdraw and shoulder holsters can’t be performed at most ranges. Strong side, however, can be practiced at any range that allows draw practice. The more one can train and practice, the better one becomes. Of course, there are some issues with strong side carry. In fact, strong side has three distinct issues. The first being it is nearly impossible for a concealed carrier to start a situation with a hand on the gun. If you lift the cover garment put a hand on the gun, it reveals its existence to potential threats. Also, some states consider this to be brandishing, for which one can be prosecuted. Printing happens to be the next issue. Printing is when cover garments pull tight against the gun, revealing its outline to the world. This is especially a problem during the summer, when light clothing is the norm. To prevent printing, shooters must take care when reaching up or bending down; bending with the knees help. However, most folks won’t notice the outline of a gun, but some will, which is why this should be a concern. Finally, car carry comes into play. When carrying strong side in a car, the cover garment and seatbelt combine to make drawing extremely difficult. 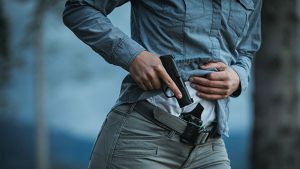 Shooters can get around this issue with a lot of training and practice, but it might be better to set up an accessible holster inside the vehicle and swap between the two. Each shooter must make that decision. There are a lot of ways to carry a gun. 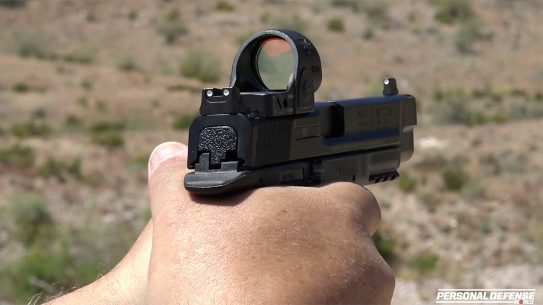 Strong side is only one of many, but it provides a good choice for shooters. It might not be your best choice, but you really should at least consider it. It’s recommended by most experts for good reason.